This entry was posted on Friday, June 2nd, 2006 at 5:09 pm	and is filed under General. You can follow any responses to this entry through the RSS 2.0 feed. You can leave a response, or trackback from your own site. Some one in the family took wedding portrait and you guys just ‘tumpang’? 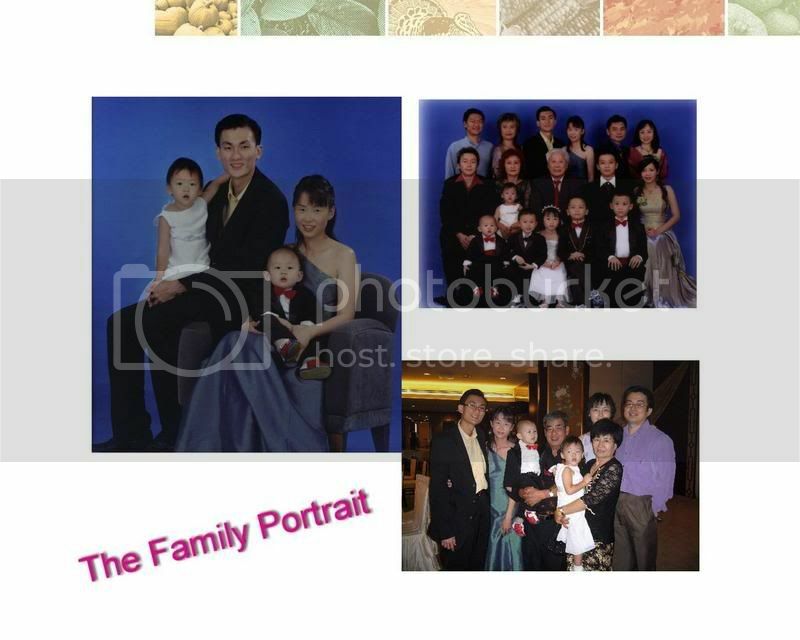 no la actually … its supposed to be a family photo day and it so happens its on my bro’s wedding day. So everyone is nice.